With her help, readers can unpack the five spiritual mindsets (Presence, Acceptance Intention, Nonjudgment, and Trust, aka PAINT) that are key to moving out of constriction and fear and into a more expansive space within their life. Ultimately, readers will quickly notice, at any triggering moment, where they’re getting stuck and how to more consciously move through it. The good news? This process is applicable to everything in life, from missing a flight to seeing an ex's engagement photo on social media to losing a job. Wouldn't it be nice to not be completely leveled by any of those occurrences? Plot twist: After reading this book, taking the quizzes, and doing the themed meditations . . . you won't be! 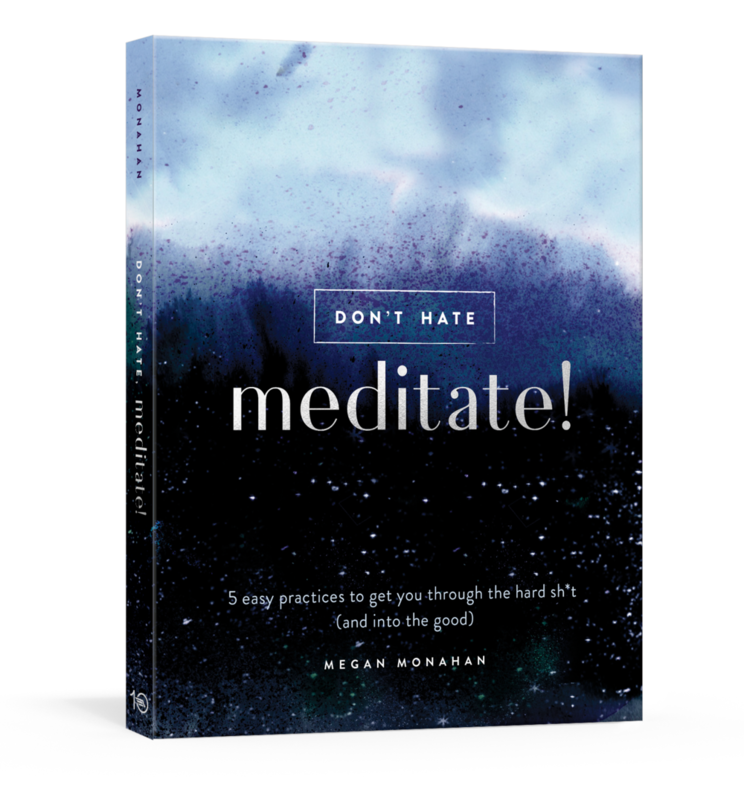 Megan Monahan has been practicing and teaching Vedic Meditation since 2009. She began her study and work in meditation with Deepak Chopra and continues to partner and share the stage with him as a host and teacher at his events several times a year. In addition to reaching thousands through her classes, she also serves as one of only a handful of Lululemon ambassadors that specializes exclusively in meditation. Megan's meditation recordings have been shared internationally through multiple media platforms like Wanderlust TV and with apps like Unplug Meditation. She is the founding meditation instructor for the groundbreaking, millennial-driven Mend app and helps produce The Shine LA. Megan's brand partnerships and collaborations also include Unplug Meditation, Rocnation, and Athleta. She writes for and is featured in LA Yoga Magazine and has been featured online in print and video for Origins, Beaming, Sticky Be Socks, Equinox, Be The Career Change, and Spiritual Gangster, among others.